Nazis burn books; philosophers write them. But Heidegger did both. Excellent piece by Adam Kirsch (in Tablet) on Heidegger's "metaphysical" anti-Semitism and on attempts to reconcile what is valuable in Heidegger's writing with the undeniable fact that he was a Nazi in thought and deed. The piece is entitled "Heidegger Was Really a Real Nazi." It was posted on September, 21, 2016. Conservatives had a field day when FDR enlisted the Hoboken crooner who made girls faint. That was just the beginning for Sinatra. 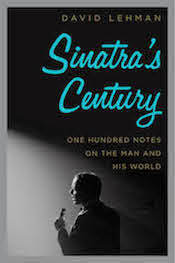 Here, an excerpt from David Lehman's Sinatra’s Century: One Hundred Notes on the Man and His World, in book stores now. The “Swoonatra” phenomenon reached its apex in the fall of 1944. When Sinatra performed at the Paramount Theater in New York that October, the throng of frenzied teenage girls—the so-called bobbysoxers—made mayhem in the streets. After a Sinatra performance—and Sinatra gave nine of them a day, starting at 8 in the morning—the girls refused to vacate their seats. Sometimes as few as 250 left theaters crowded with more than a dozen times that number. Police had to be called in. In what came to be known as the Columbus Day Riot, the bobbysoxers set in motion the pattern of behavior that marked the arrivals of Elvis Presley in 1956 and the Beatles eight years later. Having practiced their fainting techniques in advance, girls shrieked and swooned in bliss when the skinny vocalist bent a note in his patented way. When Sinatra met Humphrey Bogart, the star of Casablanca andThe Maltese Falcon said that he’d heard Sinatra knew how to make women faint. “Make me faint,” Bogart said. Sinatra’s faint-inducing ability was also on the agenda when he met Franklin D. Roosevelt. “Fainting, which once was so prevalent, has become a lost art among the ladies,” the president told Sinatra in the White House on September 28. “I’m glad you have revived it.” Then the commander in chief asked Sinatra how he did it. “I wish to hell I knew,” Sinatra said. The singer had wrangled the White House invitation when the Democratic Committee chairman asked his pal, the restaurateur Toots Shor, to a reception. FDR was glad to host Sinatra; it would counteract Bing Crosby’s endorsement of his opponent, Republican Thomas E. Dewey, governor of New York, Roosevelt’s old job before he went to the White House. “Look who’s here,” Roosevelt exclaimed and asked the singer to confide the title of the song that would be No. 1 on the hit parade next week. “I won’t tell,” FDR grinned. 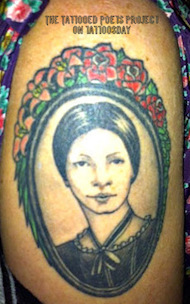 “Amapola,” Sinatra said. (The title may have sounded Italian to the president—and Italy was an uncomfortable subject in wartime—so he switched the subject.) The meeting went well, though the president was said afterward to scratch his head in wonderment at the idea that the skinny crooner had revived what he called “the charming art of fainting.” “He would never have made them swoon in our day,” he told an aide after the party broke up. Continue over at the Daily Beast here. Surely this has happened to you: One day you have a knotty research question. You begin with, say, Wikipedia. 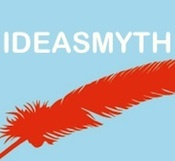 You click on a footnote link, one click leads to another and before you know it, it’s tomorrow! How you landed where you are is a mystery. It was by just such a series of virtual leaps that I discovered the rich but relatively brief history of Jewish egg and poultry farmers of the early-to-mid twentieth century, most of which were located in New Jersey. A few more clicks and I happened upon The Land Was Theirs: Jewish Farmers in the Garden Stateby Gertrude Wishnick Dubrovsky (1992, University of Alabama Press). The book captured my attention not only because of the subject matter but also because my mother’s maiden name is Dubrov, and her ancestors were indentured farmers to a wealthy estate owner in Russia. Perhaps my own interest in farmers and farming is bred in the bone. I had always assumed that all Jewish immigrants to America went to cities, found work, and stayed put. If we eventually moved out to the suburbs, our work was still city-based. I didn’t imagine Jews settling in rural communities and making their living in agriculture. Yet there has been a continuous, if small, Jewish farming presence in the U.S. for more than 100 years. Simeon’s Osby’s name, on the other hand, brought up a wealth of intriguing information from the genealogical site. He was born on May 15 1909. In the 1920 census, he is listed as the oldest of four children, living at 1501 S. 17th Street; in the census ten years later, he is still living at home with both parents and three more siblings. Apart from a hiatus in 1926 when Simeon seems to have left school and worked as a porter, he continues to be listed in the City Directory as a student living at home through 1928 when he graduated from Springfield High with my father. In 1929 he is shown living at home, but working in some unspecified capacity for a local company. In 1931, he is still listed in the Directory as living with his parents, but is also a student at the University of Illinois Champaign. According to the City Directory, Simeon remains a student at Champaign through 1934, the height of the depression. He does not appear to have graduated when he returns to live in Springfield, working as a case aid worker in the Surviving Bureau of Transients from then until he is enlisted into the Army as a Private at the end of December 1943. There are no details in the genealogical site about where and how he served during the War: he is discharged in October 1946, around the same time that my father was discharged from the Navy. In the 1940 census, Simeon Osby is still living in Springfield, and married to Annabel, a teacher whose birthplace is Tennessee. No maiden name is given for her. No children are listed, and no address is provided in the City Directory. But in the 1950 census his 58 year-old mother Virgie is living with them. In 1948, Simeon is editor of the Capitol City News, and his wife is a stenographer at the University of Illinois Division of Services for Crippled Children. By 1951 when Simeon is again in the army at the outbreak of the Korean War, Annabel has been promoted to secretary and by 1955 she is the chief clerk in the same Division, and Simeon is working at the Chicago Defender. His mother Virgie is still living with them, and works as a maid. I could find no census information for 1960 or 1970, but Simeon Buckner Osby is still working at the Defender in 1976, when he is among fifty journalist, the only one mentioned by the Edwardsville Intelligencer paper specifically as black, and present at a meeting to discuss some proposed cuts to benefit. He stands to speak against the proposal. Simeon died on July 14, 1993, eight years after my father. He is buried in Camp Butler, Springfield’s military cemetery. His wife had died five years earlier, and she too is buried at Camp Butler. His father is also buried at Camp Butler. But Simeon’s mother Virgie, who had lived with her son and daughter-in-law for so many years, who in 1955 was still alive and working as a maid, is not buried with her husband, and I was unable to trace a date of death or burial site for her. The final intriguing information garnered in the genealogical site was that Simeon is listed as Simeon Buckner Osby Jr. in the Ninth Edition of Who’s Who among African Americans (1996/97). That tidbit launched me into deeper research. I knew nothing about The Chicago Defender: I had not ever even heard the name before the genealogical site revealed that Simeon worked at the paper. When I saw it, I first wondered whether it was or was not strange that an African American man in mid-century American would find employment as a journalist on a paper. How did a black person then write for any newspaper? Weren’t newspapers written by and for the white middle class and the white intelligentsia? Was there such a strong policy of non-discrimination in the newspaper world after the war, that he could be employed? Or was it a muck-racking rag that ‘even’ a black person could write for? I wondered whether he had to commute to Chicago regularly. I wondered what kind of things he wrote about: from the only snippet of information the genealogical site showed, in 1976 he seemed to have been involved in some kind of political journalism. Is that how he started his journalistic career? Was that the kind of writing he would have done for the Capitol City News where he was working in 1948? From the sound of it, the Capitol City News must have been the paper that reported on the goings on in Illinois State legislation. I returned to the genealogy, saw in the records how Osby Senior had been born in Springfield in 1880 from parents who had migrated from Virginia and Georgia after the Civil War; in all probability freed slaves. I saw how Osby Senior had been honorably discharged from the army in 1906, after serving in either the Philippine-American War of 1899 or the Boxer Rebellion of 1902. How in 1907 Osby Senior first appeared in the City Directory as an unmarried watchman living on Elliott Avenue in Springfield, and in 1912 he was first listed as married to Virgie, born in Kentucky in 1882. The couple is living at 1501 S. 17th Street. This is the same address where the growing family lives in the 1920 and the 1930 census. It is the home Osby Senior buys for $1500 in 1930. In the yearly Springfield City Directory from where these facts are detailed, next to the name, for the Osby family too there is the bracketed (c): colored. Branded. From 1917 until his death in 1939, Simeon Osby Senior worked as an elevator operator and eventually as supervisor of elevator operations at the State Capitol, when elevator mechanisms were powered either by hand cranks or by hydraulic steam pistons. Local history does not record when the three elevators were put in the State Capitol building, although space was allowed for them at the time of construction in the last years of the eighteen hundreds; but it does record a huge investment in their upgrade in 1939, the year Osby Senior died. It seems plausible but not definitive that the original elevators were put in around the time when he started working as their operator. It is not clear whether the first elevators were hand cranked or hydraulically operated. It is most likely that all seven children at some time or other would have gone to the Capitol: how often did he take some of them to ride the elevators? Was the chance to ride the elevators a bargaining chip for this father? You work hard and do well in school, and I’ll take you to ride the elevators. How often while they were in the elevators, did this or that legislator smile and pat any of the kids on the cheek? Which legislator remembered their name, and knew Mr. Osby’s? Who became his friends and who just addressed him as ‘boy’? With whom did the invisible man trade conversation and information? How much did he see, and share with his son as he got older, and how much did his eldest son want to know? Even though Simeon started his work as a reporter for the Capital News in 1948, almost ten years after his father, supervisor of elevator operations at the Capitol, died, and after the War, perhaps all he had to do was remind legislators of the man who had worked there for more than twenty years on an ancient system needing daily maintenance, and information on legislative activities easily came his way. The moment the results came up after I typed the name The Chicago Defender in the search engine, I could begin to forgive myself for my ignorance, and for the time I had thought I had been wasting, researching and wondering about these three peers of my father’s. “Founded in 1905 by Robert Sengstacke Abbott. Abbott published the first issue, a run of 300 copies, on May 6, 1905. The Defender began as a four-page weekly handbill filled with local news and reproductions of clippings from other newspapers. Abbott initially sold both subscriptions and advertising for the paper himself by going door-to-door throughout Chicago, Illinois. Once I was scanning through the on-line archives, I saw that the newspaper had sections dedicated to news from Illinois cities, including Springfield. I saw that long before Simeon started writing for the paper in 1953, he was the frequent subject: the local news more often than not consisted of social announcements. From the paper I learnt the exact date when Simeon left to attend the University of Illinois in Champaign (September 14, 1929). I learnt that in 1933, he and a friend were refused admittance at the Empire Theater and brought suit against the owner for violation of the civil rights bill, and were refused a warrant for fear of race riots. I learnt that between 1933 and the breakout of the War, Simeon was either secretary, Vice-President or President of the Springfield branch of the NAAC. I learnt that in 1939, Simeon filed a complaint with Adjutant General Carlos Black and the State’s Attorney, because only whites were being sold seats in some reserved sections of the Renaissance-Shamrock basketball game. I learnt that in 1939 he ran in the race for mayor of Springfield, sponsored by the Chicago Defender. I knew I had to share my discoveries and I knew why: to give recognition to the hidden lives of Donald Hogan and Thelma Donnigan; to play some small role in honoring the career of Simeon Osby Jr., journalist and civil rights activist, who graduated high school with my father, Robert Fitzgerald, poet and translator. When it occurred to me that I could look up the names of Donald Hogan, Simeon Osby and Thelma Donnigan on the genealogical site I subscribe to, I hesitated for some time: although I had no qualms at all at the thought of spending weeks in a library looking up census information, newspapers, city Directories to find them, what information could emerge by merely typing in their names into a genealogical search engine seemed like an invasion. Was it the speed at which information might be brought up? Was it the sense that there surely was family, their families, who were pursuing the same genealogical research, and I would be in some ways trampling on their privacy? Before I had bought my own subscription, a friend had done some research on my family for me, and it had left me uneasy even while I encouraged her to find out all she could. What was it that made me uneasy? A sense that we are all now living in a fish bowl, a sense of the need for modesty, the thought that veils and curtains should be drawn somewhere. But I hate curtains except those that protect me from the strongest sun. I want light. I wanted light on these three young African Americans who daily shared the High School ground my father walked on for three years. Who walked the city he walked in for the seventeen preceding years. I wanted the light cast by finding out about them to extend to illuminate our day. Already, even before I typed one of the three names and the year of birth, already what I had found by paying close attention to the pages of The Capitoline, rippled into a greater consciousness of structured discrimination, and into a deeper understanding of today’s anger. Already there seemed to be a direct line, from the exclusion of the three faculty advisers for the Unity Reserves, from the segregation into the one club, from the small numbers graduating, to The Black Lives Matter movement. Isn’t ninety years too long a time for racism and discrimination to persist and mutate? 1928 was long before Rosa Parks, Brown versus the Board of Education, Martin Luther King and the civil rights movement. Fifty years have passed since those landmark institutional changes. And still the angry young, the frustrated old, rise up in protest. In 1928, was the institution of Springfield High proud for accepting blacks, unaware that the de-facto segregation showed it was merely paying lip service to integration? Was my father conscious of the hypocrisy, or oblivious to it? What did my own double-edged reaction 90 years later – that on the one hand I should be so angry that there were there were only three graduating African American students, and on the other hand that I should find myself considering, how many Springfield schools had even three black students -- what did that say? Could I dare to think that the three young people who managed to graduate with my father in June 1928, were both tokens of our Caucasian hypocrisy, and also markers for some kind of progress? What does progress means in that kind of context? There are only four entries for Donald Hogan in the genealogical site I subscribe to: three of the entries are uploaded from the 1927 and 1928 Capitoline, and reiterate the information I already had, that he was a horn player, that he played in the orchestra, that he graduated in 1928. The fourth entry was a census that told me that he was born a week after my father, on October 19, 1910, in Springfield: like my father, he graduated high school before he turned eighteen. The entry also told me that he died in Chicago, Cook County, in August of 1986. Less than two years after my father. Nothing else. But there is nothing ordinary about one of the four entries for Thelma Donnigan: the first three are uploaded pages of the Yearbook, but the fourth is an entry from the Springfield City Directory for 1928. A William and Anna Donnigan, are listed above Thelma’s name, and a son of the couple, Harold, is listed below hers, but the three of them live together at a different address from hers, and cannot be her parents or, it seems, any kind of relatives. There seems to be no record of any of her family in Springfield: Thelma Donnigan, student at Springfield High, lives at 1105 East Washington Avenue. Was she living with relatives who had completely different names? Was she already living as a maid in the home of a white family? Did live-in maids list their names in city directories? Would a live-in maid have access to schooling? Was she living with a man? And then she is no longer in Springfield, but she is also not among the many Thelma Donnigans listed as living in any other part of the country. She vanishes from the records. Perhaps she disappears into the un-traceability of the married state. What remains, a mark of shame as indelibly imprinted as any, on the society into which my father was born, and the dominant culture of which both he and I have been privileged beneficiaries, is a small, inconspicuous letter between brackets: (c). Colored. Branded, like every other person of color in the City Directory for Springfield, Illinois in the year of the Lord 1928. As far as "on this date" goes, today is a big one. Fifty years ago today - June 5, 1966 - I attended my 1st New York Mets game. Just like today, it was a Sunday. Shea Stadium was only in its 3rd season. My father, mother and I left early for the 1pm doubleheader against the Dodgers. On the way down - as we traversed the Taconic, Saw Mill River, Cross County, and Hutchinson Parkways - I learned about the 7th inning stretch. We made it over the Whitestone Bridge and got stuck in traffic on the Whitestone Expressway but eventually made it to Gate C. We weren't certain where the seats were, but the usher said keep going up the escalators, all the way to Upper Reserved - at the time the green seats. My mom picked a bad day to wear heels. Walking through the tunnel from the concourse opened up a sea of color. Watching games on a 19 inch black and white TV didn't prepare you for that vision. Finally planted in our seats directly above home plate, I settled down to learn the basics of scorekeeping from my mom. She was the big baseball fan: more about that in a moment. Sandy Koufax versus Gerry Arrigo. Yes, I got to see Koufax in his final year. Ron Hunt had the 1st Mets inside the park homer. Gerry Arrigo hit a double, but was removed from the game the next inning. I asked why; my mom said it was because he gave up 4 runs in 5 innings. The Mets would go on to lose this game 16-3. But fear not, the Mets would win the nightcap by a score of 3-2. So in one day, I saw the ups and downs of being a Mets fan. 20 years later, I would be there with my father when they won their 2nd (and most recent) World Series and 42 years later with my wife Susan and son Andrew for the Mets final victory at Shea. So why the Mets? In the late 40s and early 50s, my mother worked in the City as a registered nurse. She attended a lot of baseball games, sometimes at the Polo Grounds for weekday matinees but mostly Ebbets Field. After all, she was born in Brooklyn. She knew a man, Bill Gibson, who worked for the Brooklyn Dodgers in their ticket office. Bill would get my mom great seats for games. When the Dodgers moved west, Bill didn't follow. And in 1962, he ended up working for the Mets in their ticket office. Every March, Bill would make sure to mail our family a ticket brochure. And in 1966, at 8 years old, I was old enough to go. And that's the story. I thank for parents for bringing me to that game and thank God that Bill didn't end up working in the Bronx. Trochaic theory, the political forecasting system based on poetic metrics, which correctly predicted Obama's presidential victories in 2008 and 2012, has shortened the odds on Bernie Sanders -- if, and it's a big if, the Sandman gets the Democratic party nomination. The reason: his name conforms to the double trochee pattern that has reliably given us an array of chief executives including Andrew Jackson, Millard Fillmore, Grover Cleveland, Warren Harding, Harry Truman, and Richard Nixon. The odds of presidential triumph shorten further if the candidate's first and last name alliterate (e.g. Woodrow Wilson, Calvin Coolidge, Herbert Hoover, Ronald Reagan). But it is probably too late for Bernie to change his name to Sandy. While deeply critical of Israeli PM Netanyahu, the Brooklyn-born Sanders remains a Zionist ("Do I think Israel has the right to exist? Yeah, I do") who scores high on the "Jew You" test devised by a team of experts including Larry David, Sarah Silverman, and University of Vermont professor Richard Sugarman. His favorite poet would be Yehuda Amichai if he had a favorite poet and were at liberty to disclose the name. Hilary Clinton merits an asterisk if only because the two major precedents for her name are those of Zachary Taylor and Abraham Lincoln -- in both cases a dactyl before a trochee. Astrological analysis sees the likelihood of war following such an ascendant. But maybe that's just talk. If Clinton were to consider an "Abraham Clinton" ad campaign, with an actress playing Hillary in the role of Honest Abe, she would gain ten points in some polls. Deliberate mispellings of her last name (Clitnon), common in right-wing supermarket tabloids, are bound to backfire. The monosyllabicTed Cruz doth lose unless, like George Bush he faces an opponent who shortens his name to the same thump thump (2000) or a hapless chap on water skis (2004) The triumph of the first George Bush against Michael Dukakis in 1988 remains an aberrant case that is usually explained (a) as an expression of satisfaction with the Reagan administration, (b) proof that a picture (Dukakis in tank with helmet) is worth a thousand words, and (c) the insertion of two middle initials in Mr. Bush's name, ostensibly to distinguish the 41st from the 43rd US president, but with attendant metrical mischief. It is however pertinent to note that the metrical makeup of "Michael Dukakis" resembles that of Barack Obama except that, luckily for Barry, his first name scans as an iamb not a trochee and so he escapes the Dukakis ignominy. Of John Kasich, it may be said that his best hope is to add a middle initial, preferably F, and launch an "all the way with JFK" campaign, but that would cost a huge amount of money and the candidate would dismiss the idea in line with his no-nonsense Ohioan personality. The relative fates of the governors of Ohio and Michigan during this primary season fall into their own pattern -- the many seasons when the Buckeyes trounced the Wolverines by three touchdowns and went on to a bowl game. All too often, writers possess great technical ability, but they lack ambition with respect to the larger ideas that seemingly small choices within a text—a line break, alliteration, and even the visual appearance of the work on the printed page—can communicate. For many practitioners of the literary arts, style remains mere ornamentation, rather than functioning in a more substantive way. And so we are left shivering in a beautifully painted corridor after the performance, with the doors latched all around us. At the same time, three recent texts by women remind us that form, and the behavior of the language itself, can function as an extension of content, opening up possibilities for readerly interpretation that transcend the semantic meaning of the words as they appear on the page. C. Kubasta’s All Beautiful & Useless, Ruth Danon’s Limitless Tiny Boat, and Anne Tardos’ Nine each present us with subtle technical choices that call our attention to the politics inherent in language, grammar, and the literary forms we have inherited. We are asked to consider language not as a given, but rather, as a set of implicit hierarchies, judgments, and assertions of power. Even more importantly, the reader is reminded that language structures conscious experience, and even the most subtle implications of grammar are internalized by the subject. In these deftly crafted works of poetry and hybrid prose, we watch as each author simultaneously inhabits and revises received structures for thinking and writing, ultimately subverting them from within that familiar and deeply entrenched order. Although somewhat different in style and approach, these innovative texts certainly share an investment in approaching poetic technique as politically charged, the smallest nuances of formal innovation offering opportunities for social justice within the literary landscape, and well beyond its boundaries. What does possibility look like, then? How will we recognize her, and what glittering ammunition does she carry? I am alone. I am ashamed. Ruth Danon’s Limitless Tiny Boat provocatively juxtaposes inherited myths with invented forms, which often use the space of the page as a visual field. By presenting her artistic inheritance alongside the wild machinery of her own imagination, Danon ultimately calls our attention to the arbitrary nature of the forms, narratives, and linguistic conventions that circumscribe what is possible within thought itself. Indeed, the cultural imagination from which we all borrow is revealed as the result of chance, and what’s more, it is only one of many possibilities. At the same time, Danon’s graceful retellings of classic myths remind us that these shared narratives, these symbols and motifs that circulate within culture, are necessary for dialogue, artistic exchange, and even community. Danon fully acknowledges the necessity of a repertoire of forms and narratives, and the larger collective consciousness to which they give rise. She herself is implicated in sustaining this chance assemblage of cultural knowledge. Yet she skillfully works within these received structures for thinking and writing to expand what is possible within them. What will we find when we open the door? As Danon’s book unfolds, familiar myths, and the literary conventions that structure them, are rendered suddenly and wonderfully strange. Indeed, we are made to see that the story of Narcissus and Echo offers myriad possibilities for identification on the part of the reader, among them a silenced female beloved, who discovers the possibility of speech by traversing the darkened corridors of her own psyche. Narcissus, who normally occupies a prominent role in the story, becomes a tertiary figure, mere ornamentation. As Danon works to excavate Echo’s agency from this familiar mythical dreamscape, narrative convention is revealed as a source or order within a text, but also, a diversion, a limitation, a silencing. When we are asked to attend to Narcissus, we miss the possibilities at the margins of the text, the subversive and provocative gestures that exist only on the periphery of a larger cultural imagination. Indeed, narrative convention is revealed as an attempt to impose order on an inherently unruly human psyche. What we discover through Danon’s work is the multiplicity that is housed within any experience, perception, or event. As we struggle to sort through these glittering possibilities, our attempts to find order inevitably replicate the power structures within the culture we inhabit. Danon’s work offers us a profound interventionist gesture, which inevitably expands what is possible within this familiar narrative, and the larger power structures that narrative replicates. When Danon forces us to unsee Narcissus, we see Echo for the first time. What else is waiting for us when we meet her? Bernstein: “Estrangement is our home ground”-Yukon bullfrog flu. In her most recent collection, Nine, Anne Tardos acknowledges the necessity of shared conventions, myths, and narratives for creating community, and in turn, works of art. Yet her interrogation of these constraints is as relentless as it is fiercely intelligent. She ultimately eschews the rules of grammar, syntax, and narrative, choosing instead to define her own. Written in nine end-stopped lines of nine words each, the poems in this provocative collection make us suddenly aware of the many constraints that are imposed upon conscious experience. Much like Danon, Tardos reminds us of the chance nature of the rules, and the larger cultural imagination, that we have inherited. This burdensome inheritance, accidental as it may be, ultimately circumscribes what is possible within thought itself. And for Tardos, the vast terrain of the cultural imagination we all inhabit is wholly subject to revision. As Tardos redefines the rules that lend structure and meaning to experience, she allows this radical grammar, these new syntactical structures, to open up unforeseen possibilities for her own thinking, and for our imaginative work as readers. The poetic line becomes both a self-contained unit and a gesture toward infinitude, the possibility of indefinite extension. Similarly, the wild and provocative juxtapositions within each line strike sparks within one’s imagination. Each moment of rupture within these fragmentary narratives becomes an aperture, a doorway through which the reader is beckoned. Indeed, the poet no longer gives meaning to an audience who passively receives it. The text instead becomes a machine for generating meaning, and practitioner’s job is merely to guide the reader in his or her own imaginative work. The poem, copied by Dickinson into an 1864 fascicle, has a triumphal tone that almost seems a precursor to her more famous #1072 that begins, “Title Divine—is mine!/ The Wife—without the Sign” copied into an 1862 fascicle. The fascicles are dated by changes in Dickinson’s handwriting, and Dickinson copied the poems into the fascicles, seemingly not in the order in which she wrote them. What does any of this have to do with Carlo? Mainly that Carlo figures large as a steadying force through the “White Heat” of these years. Carlo isn’t listed in the subject index of Thomas H. Johnson’s The Complete Poems of Emily Dickinson. Under “dog,” there is only a late poem beginning, “A Little Dog that wags its tail/And knows no other joy,” not a poem about Carlo. Would you instruct me now?